By Jennifer Burcke on May 3, 2011 Visit Jennifer's Website. It’s official. Spring has finally arrived here at 1840 Farm. It’s about time that the winter that wouldn’t end finally ended. We do live in New England, so I am always hesitant to audibly declare that we have made it through another winter. Believe me when I tell you that I’m certain that we have. How can I be so sure? There are always a few telltale signs that spring has returned to a farm. For us, the first sign is when the colossal snow mountain finally gives up its residency in our garden. This year, it held on as long as it could but disappeared for good two weeks ago. Then came the emergence of the rhubarb in the garden, followed closely by budding leaves on raspberries, blueberries, grapes and arctic kiwis. Last week, we celebrated as only a farmer can by removing the snow thrower from the tractor and sharpening the blades on the mowing deck. We have survived The Winter of My Discontent. Phew. This year we have a new barometer for spring’s arrival. They number seven and have been singing a song of spring every day for the past two weeks. Yes, the chickens here at 1840 Farm seem even happier than I am that spring has come to stay. That’s really saying something. It has now been almost a year since we embarked on our chicken experiment. At the onset, we knew nothing of chickens other than we wanted desperately to add them to our farm. We had discussed becoming chicken keepers two years earlier and gotten as far as the initial stages of coop research. Then irony decided to knock on our door and inform us that our son had an allergy to eggs. We put our plans for chicken keeping on hold and decided to take a wait and see approach. After two years of waiting and a successful oral challenge of cooked eggs, we were ready to see chickens living here at 1840 Farm. 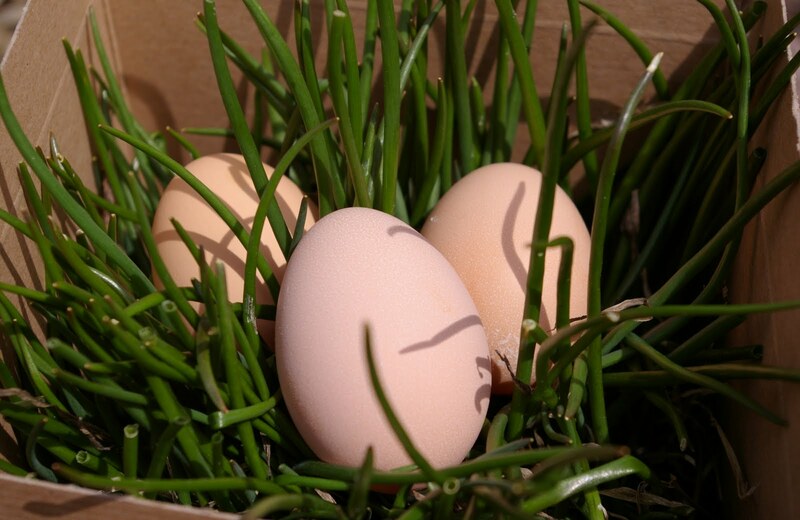 Growing eggs right outside our door seemed like the perfect way to celebrate the departure of our son’s egg allergy. Now all we had to do was figure out exactly how to make it happen. Enter Mother Earth News, Grit Magazine, and forums like Community Chickens. We literally learned everything that we needed to know from people that we would never get to meet in person. I spent hours reading about every aspect of keeping chickens. I sometimes found myself sitting at the computer long past midnight reading about chickens and coops, and wondering if I was crazy for taking on a project this big when I had so many other chores to accomplish each day. The whole research process made me realize just how much farming and agriculture has changed over the years. My paternal grandparents and maternal great-grandparents were all farmers. They lived in small communities where they could use other local farmers as a resource. I imagine that they stood on fence rows and exchanged stories, seeds and suggestions with their neighbors. Unfortunately, none of them were available for me to use as a resource and standing at my fence row would be a very lonely way to spend a day. There simply are no farming neighbors left here for me to ask for guidance. Luckily for me, the online communities of chicken keepers filled the void. 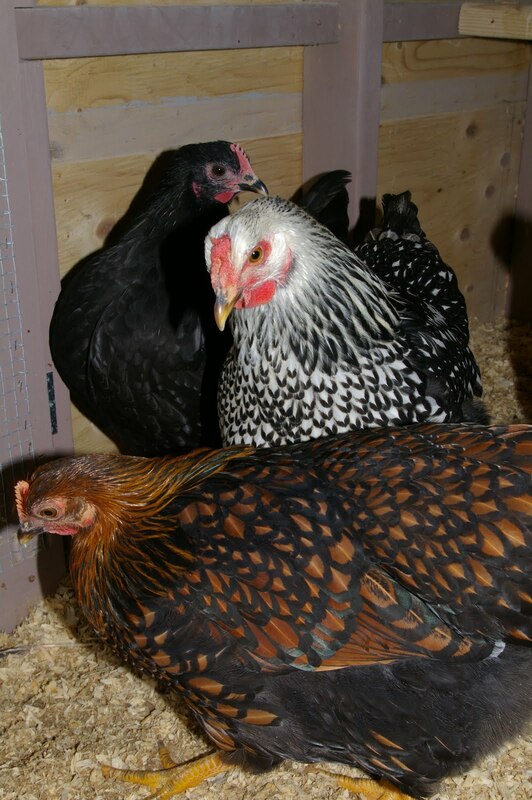 I learned about different breeds of chickens and decided early on that the heritage breeds that were also cold hardy were the way for us to go. 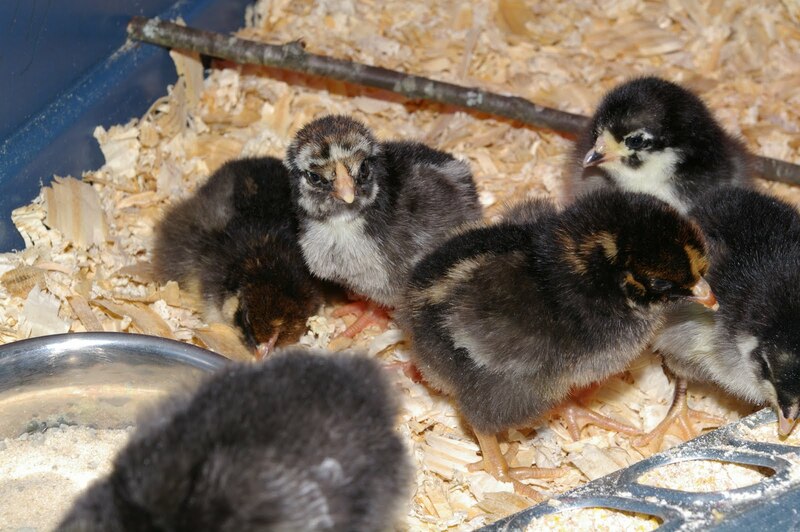 I got online and we ordered our flock of Plymouth Barred Rocks, Black Australorps, Silver Laced Wyandottes, and Golden Laced Wyandottes. We were finally on our way to being chicken keepers after all. Now the pressure was really on. The chicks were on their way, but we didn’t have a coop for them to live in. What kind of coop should we build? Everyone we talked to had a different take on what type of coop was best. We didn’t know which opinion was the right one to listen to. It was terribly confusing. What seemed like a simple idea was nothing of the sort. Looking back on it now, I can say that the building of the coop and raising of the baby chicks went fairly smoothly. They arrived as promised early on a Tuesday morning. As soon as we opened their small cardboard box, we knew we were hooked. We weren’t just chicken keepers, we were chicken people.That’s not to say that the last year was without its surprises. The building of the coop did include a trip to the emergency room. But wounds do heal, even those caused by a child’s first close-up view of death courtesy of a day-old chick that died in spite of our best efforts. I had never imagined that our first week as a chicken-keeping family would include trying to explain to a 4-year-old how a living being can die even when you take such good care of it. We persevered in spite of our physical and emotional wounds. We kept calm and carried on with the remaining seven chickens. 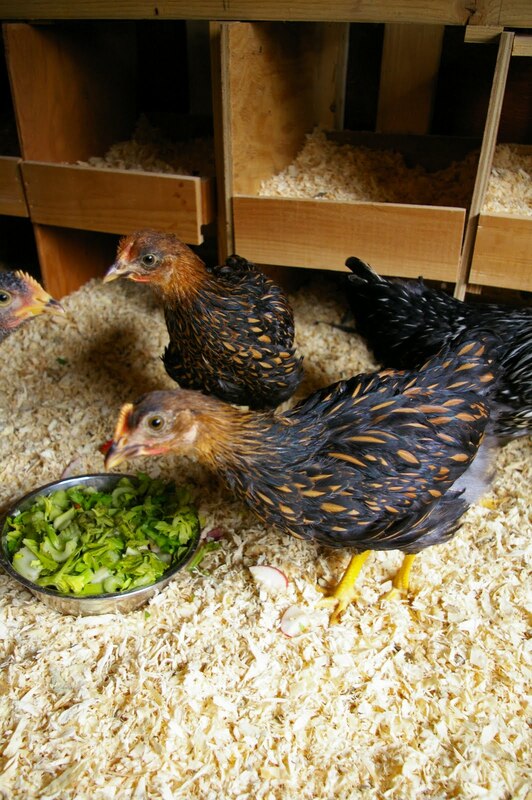 They grew stronger every day until it was finally time to move them to their new coop. We questioned how they would react to such a dramatic change in environment. We worried that the stress of the situation might be more than they could handle. They gave us an answer in short order. As soon as they saw the fresh treats waiting in their bowls, they were content to be in their new home. Apparently a change in venue just can’t compete with fresh celery. We breathed a sigh of relief and started the literal egg timer. We took care of our little flock during their first New England winter. We cooked them oatmeal every morning, forged our way through the snowy world to their coop, and hoped to find an egg. In February, we finally did. Phone calls were made, a celebration was had, and fresh eggs were finally eaten. We had made it successfully to our destination. The egg timer could stop ticking and we could take a deep sigh of relief. It was nice to look back on all that we had accomplished during the last year. It had required a lot of effort by every member of our family, but now we were all enjoying the best eggs we had ever tasted. It seemed like a very good return on our sweat equity investment. This spring seems like the perfect time to thank all of you who offered your chicken-related knowledge so freely. I have learned so much from the contributors and readers here at Community Chickens. Comments and suggestions that you left on my blog posts helped me to make it through the last year. I intend to return the favor. I know that some of you are finding yourselves where I stood last spring. You know that you want to become a chicken keeper, you just haven’t yet chosen the path to get there. I hope that you will find the tale of my experience useful. I’ll be sharing the details of the building of our chicken coop along with what we would do differently now that our hens have been living there for almost a year. I feel incredibly lucky to take my turn at the technological fence row and share everything I’ve learned from our chickens along the way. Thank you to everyone who offered advice and support as we made our way through our first year as chicken keepers. To those of you who find yourself standing at the chicken keeping starting line like I was last spring, welcome to the community. We don’t have a secret handshake, but we have plenty of farm fresh eggs. With any luck, you’ll have some of your own very soon. Read more about the adventures of the heritage chickens and everyone else living at 1840 Farm.